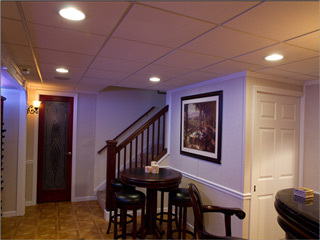 Our company's patented system offers more features for less money, making it the best solution for finishing a basement. Do you have mold and rot on your basement drywall from moisture? When you don’t want to rip out your entire basement, we have the solution! 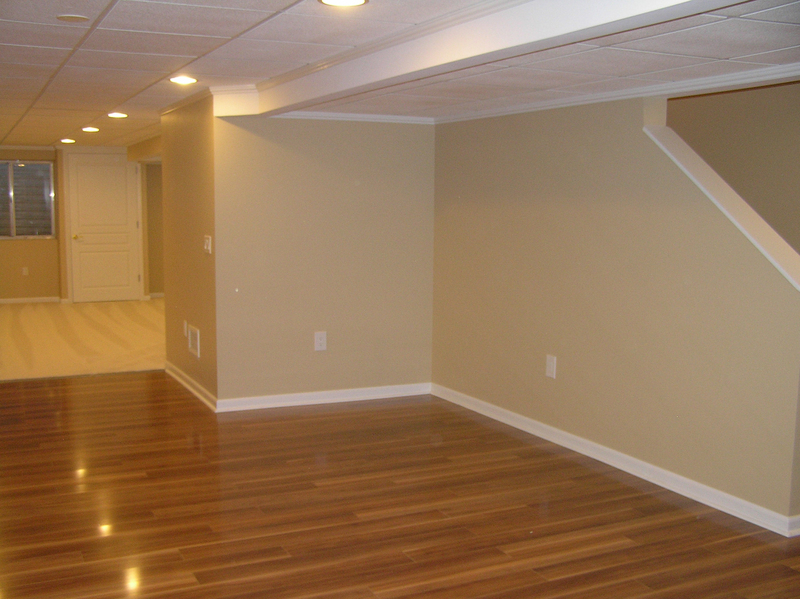 Our company's basement finishing products are top of the line. 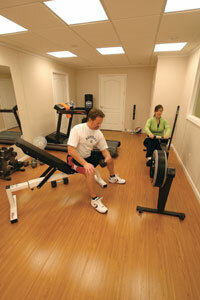 All of our products feature quality, durability and design you are looking for in your basement. Our company features two unique wall panel options that can be used to remodel your basement into a beautiful, comfortable, healthy and inviting place for you and your family. The TBF EverLast™ wall panel is the number one choice and best solution for finishing any basement. EverLast™ wall panels are our state of the art panel that includes SilverGlo™ insulation, radiant barrier and vinyl faced cement/ceramic board. It EverLast™ panels feature everything you need, from a waterproof panel with exceptional insulation value to a timeless look that is maintenance free. The seamless, paintable wall system is a great alternative to the prefinished EverLast™ wall panel. If a homeowner wants to personalize their basement using accent color(s) now they can! This panel also features SilverGlo® insulation and radiant barrier as standard property. The seamless, paintable wall system will satisfy even the most creative homeowner… you are now free to paint or apply wall covers! 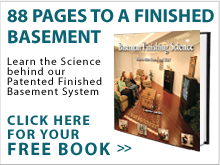 Total Basement Finishing offers free, no cost, no-obligation basement finishing estimates in the Illinois area for the award-winning Total Basement Finishing System. Finding a responsible and trustworthy basement finishing contractor is challenging, but you'll find that Total Basement Finishing dealers adhere to simple guidelines of respect, integrity, and responsibility. Total Basement Finishing contractors always show up on time for appointments, performing the work we are contract to do, and standing behind our company warranty. Homeowners can trust that we will be there when you need us. 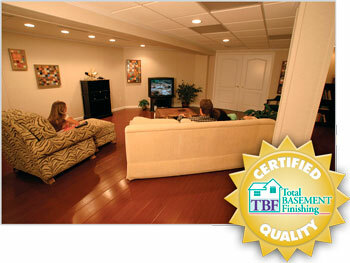 Let the trained, certified professionals at Total Basement Finishing assist you! Our company's affordable basement remodeling process is easy, risk-free and adds value to the investment of your home at nearly 50% the cost of building an addition. Free design consultation and quote with no obligation. Fast Installation - typically installs in two weeks. Financing Available - Six month same as cash financing (with approved credit). Total Basement Finishing offers basement remodeling products and services to finish your entire basement, including basement wall panels, basement floors and drop ceilings at the best price and value. Let Total Basement Finishing's experienced contractors transform your basement into a custom living space that you'll fall in love with! 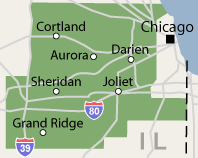 Total Basement Finishing has consulted with thousands of homeowners in Naperville, Aurora, Joliet, Schaumburg, Elgin, Des Plaines, Cicero, Arlington Heights, Bartlett, Palatine, Kenilworth, Glencoe, Eola, Winnetka, Hoffman Estates, Barrington, Berwyn, Wheaton, Skokie, Orland Park, Tinley Park, Boilingbrook, Oak Lawn, Oak Park, Lombard, Glenview, Saint Charles, Lockport, Elmhurst, Melrose Park, Plainfield, Carl Stream, Elmwood Park, Dekalb, Evanston, Northbrook, Mount Prospect, Downers Grove and surrounding Illinois areas. 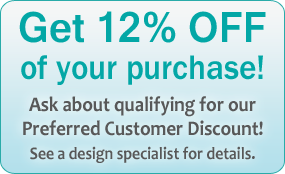 Click here if you are ready for a free design consultation and written quote by one of our licensed specialists!